Imagine this: You are running late, speeding through traffic trying to make it to your destination on time. And then you see it, the red flashing lights warning you that a train is coming. “No! Not now!” you think to yourself. You were actually going to make it on time. So what do you do? You are so close to the tracks already; you could probably make it through before the barriers close if you put the pedal to the metal. Instead, you decide to slam on the brakes and play it safe. Guess what? You may have just saved your life. According to Operation Lifesaver, either a person or vehicle is hit by a train every three hours. This is a very high number considering that it is no mystery where a train will be traveling. The tracks they need to function are a great indicator that they may be arriving at any time. Train accidents are usually preventable; it just takes some awareness and common sense. A train travels with so much power and speed that it takes it a mile to come to a stop. If it does hit your car, it would be the same thing as your car hitting an aluminum can. Yeah, pretty scary. What can I do to stay safe around trains? 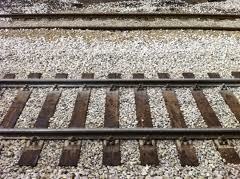 Make a complete stop at least three feet in front of any train tracks you see before crossing them. Look both ways, and then look again. As previously mentioned, trains are predictable in the sense that you can see the tracks in which the travel. However, the times that they travel are not as foreseeable. For that reason, you should always, always assume that a train is going to be coming when you see a track. Never cross a track unless you are sure you car can clear it completely before you have to stop. There are a lot of red lights around train tracks. Watch the traffic ahead of you before attempting to cross. Stay alert. Defensive, alert driving is always on your side. When driving around train tracks make sure to always be aware of what is going on. Trains are a lot quieter than they used to be, so you can’t rely on just your ears. Put all distractions away. A train is always closer and moving faster than you think. For more ways to drive defensively to avoid a train accident, check out DefensiveDriving.com.